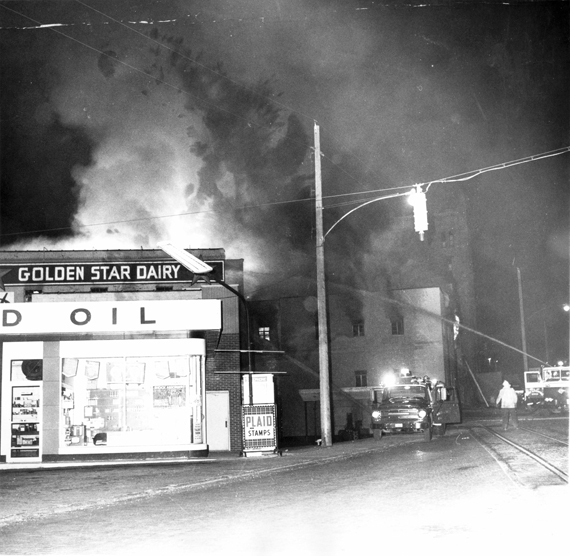 This blaze was apparently set to cover a robbery of the firm on April 23rd, 1970. The dairy was located at Webber Way and Jefferson St. The damage amounted to nearly $225,000. The fire was started on the second floor of the three story brick building. The top two floors were gutted and the first floor received heavy water damage. Firefighting efforts were hampered by exploding carbon dioxide containers which sent scraps of metal flying through the air.